It’s the staple of kids parties and school fairs but this artist takes making figures with balloons to another artistic level. 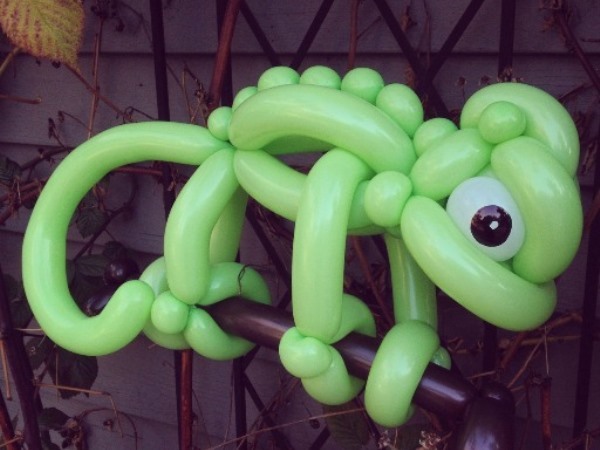 Balloon figures are always fascinating and some of the best in the world can create amazing creatures. But how many different ones can you really make? US graphic design artist Meghan Coleman believes she can make a new one every day. She plans to make 365 in fact and still has until September to reach that goal. Meghan posts pictures of the objects on her Tumblr page, 365 Days of Balloons, and even invites people to send her suggestions for balloon designs. She’s already passed the 100-day mark and everyone from Mickey Mouse to Father Christmas has already been portrayed in her balloon art.